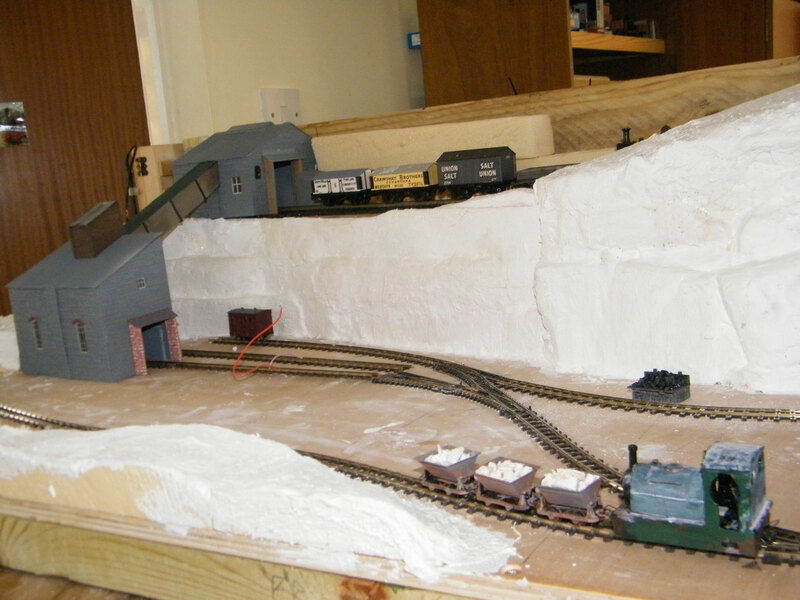 The next project for Elham Valley Model Railway Club is to build a small chalk quarry operating an 009 industrial railway. This is intended to be one of a series of small layouts, all of the same size and using the same infrastructure. The new layout is nearing completion. 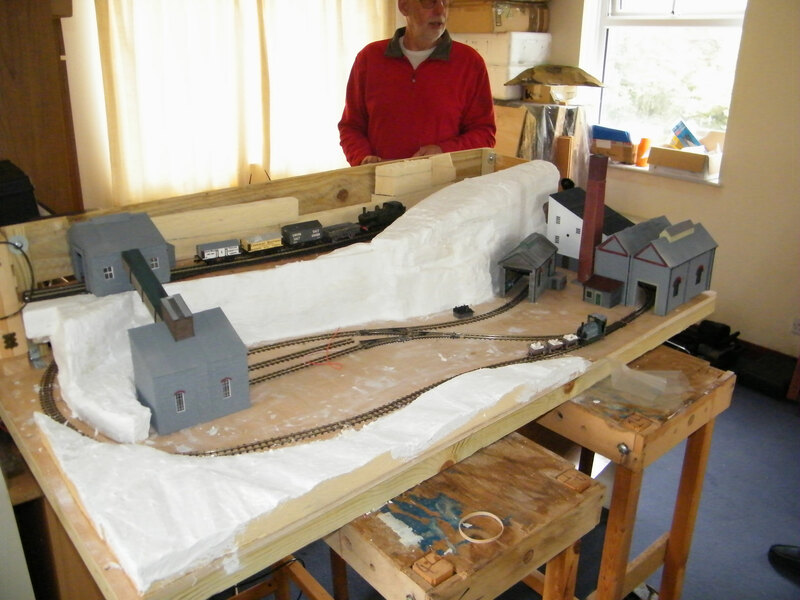 As suggested earlier the Elham Valley MRC is developing an 009 chalk quarry layout on a 4' by 3' board. This may form one of a number of small layouts on different themes but all using a number of common features and all built in a 4' by 3' space. As we develop and commit to the ideas we will let people know. 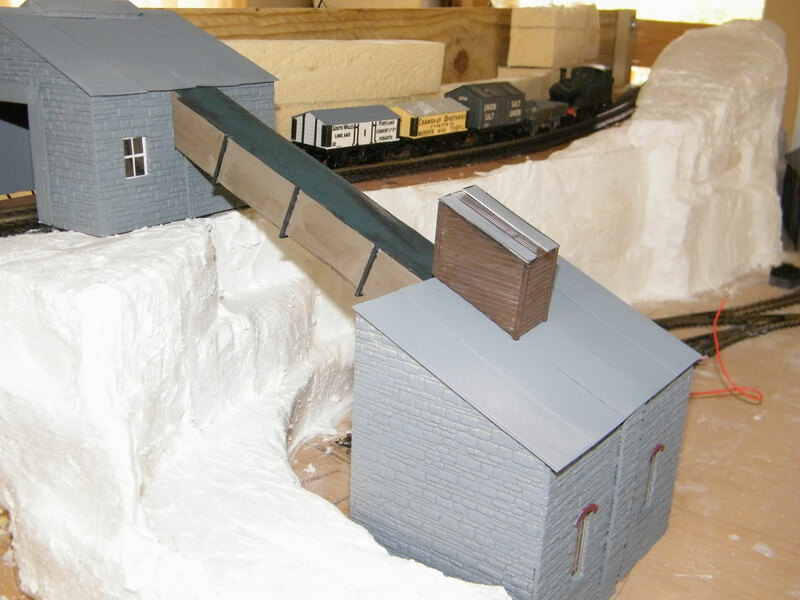 The provisional name for the layout is the Elham Valley Industrial Limeworks. The track plan has been completed. The wiring is complete. Bespoke quarry buildings have been completed. 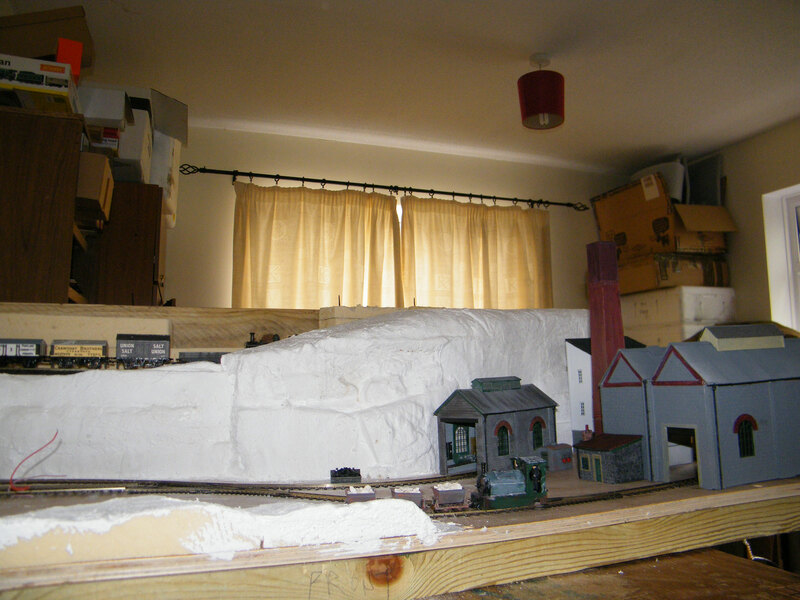 Scenic work has progressed rapidly with track ballasted. The major work in progress to finish the plan is a theatre style presentation arch. The first phase of the project to build a 4mm model of a small section the Elham Valley Railway is now complete.This is centred on Elham station. Elham has suffered the indignity of being turned into a terminus but later it will be part of a larger line. As the station was on the outskirts of the village and underwent no significant changes; apart for the 1930 singling of the track; it is possible to run stock from any period of the lines history without it looking out of place. 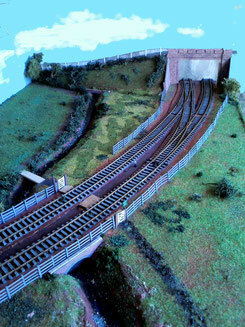 Initially the layout shows the line coming from Folkestone with the section between Lickpot Bridge to Elham station modelled. Later we intend to extend the line and allow trains to operate arriving from Canterbury as well. 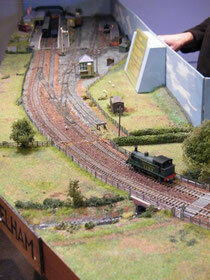 Two station buildings and signal boxes have been completed so the layout can reflect different eras. The bridge over the railway at Lickpot Road undergoing scenic development. The original was demolished when the line was lifted. The culverts shown below have been fitted onto this board.